A view along Sherrard Street, away from the town centre. 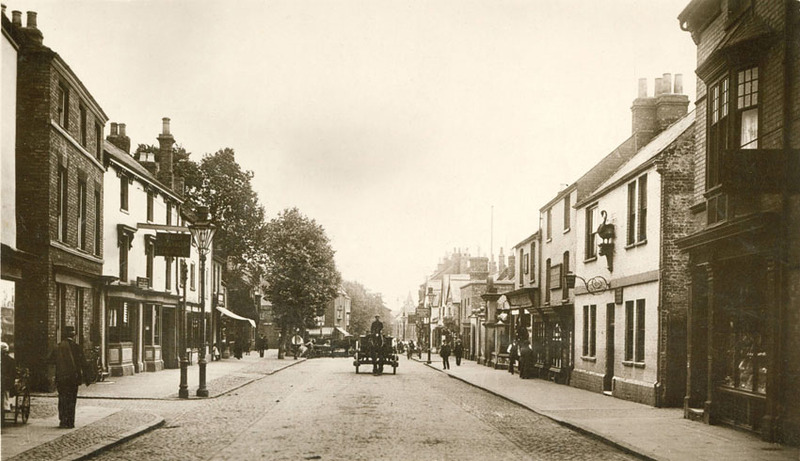 The sign above the Black Swan Inn on the right can still be seen today. The white-faced building on the left is The Old Bishops Blaize, parts of which dated to the 14th century. It was demolished in 1964, making way for new premises built for Bowleys Jewellers and Opticians when they moved from the Barnes Block in the Market Place. Approx date: 1910. Image ref: MM0206.